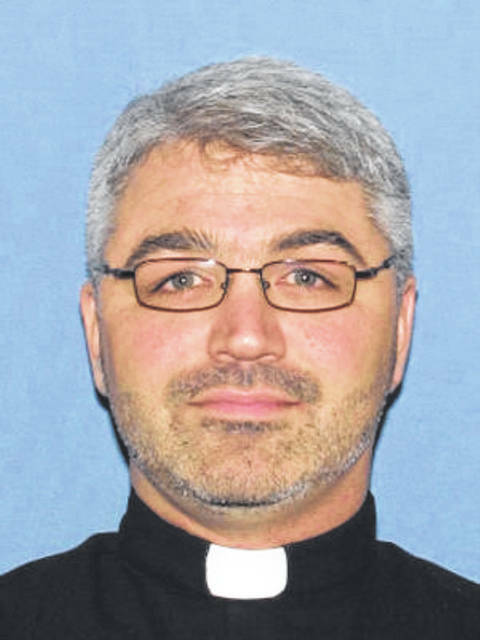 ATHENS COUNTY — A Catholic Priest in Athens County is facing felony charges for alleged sexual conduct with a minor. Father Henry Christopher Foxhoven, a Catholic priest in the Diocese in Steubenville, was charged Tuesday in Athens Municipal Court with eight counts of Sexual Battery. Foxhoven, age 45, of Glouster, is accused of engaging in sexual conduct with a minor female between Aug. 17, 2018 and Oct. 25, 2018. The minor is a member of Holy Cross in Glouster, Ohio, one of Foxhoven’s two parishes. The Diocese in Steubenville reported the allegations to the Athens County Sheriff’s Office when they became aware of them on Oct. 27, 2018. and has continued to cooperate with the investigation. Foxhoven was immediately suspended from practicing all religious services and was barred from church property by Bishop Monforton of the Diocese in Steubenville. Foxhoven appeared in Athens Municipal Court Tuesday. The State requested $1 million bond and Foxhoven is scheduled to appear before the Athens County Municipal Court for a preliminary hearing in late November. Anyone with additional information pertinent to this case is urged to contact Detective Ryan Gillette with the Athens County Sheriff’s Office at (740) 593-6633. Information provided by the Athens County Prosecutor’s Office.